How can we achieve the most of our skills and experience? Do what we are good at and let others do the things that we are not so good at. So we are always looking to cooperate with partners that add value to our proposition or vice-versa. We believe that good people can be found anywhere, so our partners are from all over Europe. If you contact them, please let them know you were referred by We’re Agile! A Spanish networking community based in Alicante with more than 2,000 members with as main topic: Technology, with meetups at least once per month. You can reach them via email at: info@alicantetech.es or by phone: +34 966 766 602. A Finish company founded by Rasmus Nybergh, with Kuveno you create and sign your company’s most important documents and contracts, manage your board work, collaborate with your accounting firm, and keep your administration in order. You can reach them via email at: info@kuveno.com or by phone: +358 40 512 5575 (they also speak English and Spanish). We help them with recruitment and payroll services. 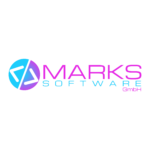 A German company founded by Lukas Marks that have deep passion for programming and dedication to continuous improvement process as the core drivers behind the Marks Software team. You can reach them via email at: info@marks-software.de or by phone: +49 5161 78 75 3 56 (their English is perfect). Also a German company, founded by Dieter Rausch: Lean process design, Interim management service, your restructuring and turnaround partner – all that and more is Seven Circles Consulting. You can reach them via email at: info@seven-circles.com or by phone: +49 5161 78 73 0 66 (languages spoken: Mandarin Chinese, English, German, Russian). A Spanish company, founded by Pedro Narciso García Revington that provides 100% automated cross-selling for your web shop via either OpenCart or Prestashop extensions or the API. Perfect for web shop owners that want to sell more with the least amount of effort. You can reach them via email at: support@shoptimiza.com. A Dutch/Spanish company, they are the Private Cloud Experts that will enable you to build your exclusive private cloud with all of its benefits, such as: high availability, predictable performance, detailed knowledge of the infrastructure and bare-metal pricing. You can reach them via email at: comercial@stackscale.com or by phone: +31 20 309 3000 (Netherlands) or +34 911 091 090 (Spain). Copyright © 2017-2019 We're Agile! – All rights reserved. Todos los derechos reservados. Alle rechten voorbehouden.